This triple-award winning, organic, ultra-rich non-greasy regenerating night cream is suitable for all skin types, especially dry and sensitive. This triple-award winning, organic, ultra-rich non-greasy regenerating night cream is suitable for all skin types, especially dry and sensitive. Contains Gold of pleasure oil, Frankincense and Myrrh – a perfect Christmas gift! With 91% organic ingredients, this is a must have in your organic beauty products. This unique formulation organic night cream will combat dryness overnight, help to smooth out wrinkles and leave your skin fresh, soft and glowing in the morning. It is a vegan, cruelty-free, anti-ageing night cream that is incredibly effective and gorgeously scented. Our unique formulation helps reduce lines, wrinkles and crows feet by working all night long with your skin’s own natural repairing system (when you are resting at night your body restores and repairs). Our cleverly formulated mixture of herbal extracts, omegas, vitamins and anti-oxidants deeply penetrate and replenish the skin, making this one of our best and most popular organic night creams. Sea Buckthorn, our signature oil, with over 190 bio-active ingredients! 100% felt their skin was more hydrated, softer and more supple. 91% felt their skin appeared more youthful. 90% felt their skin was smoother, more even and radiant. 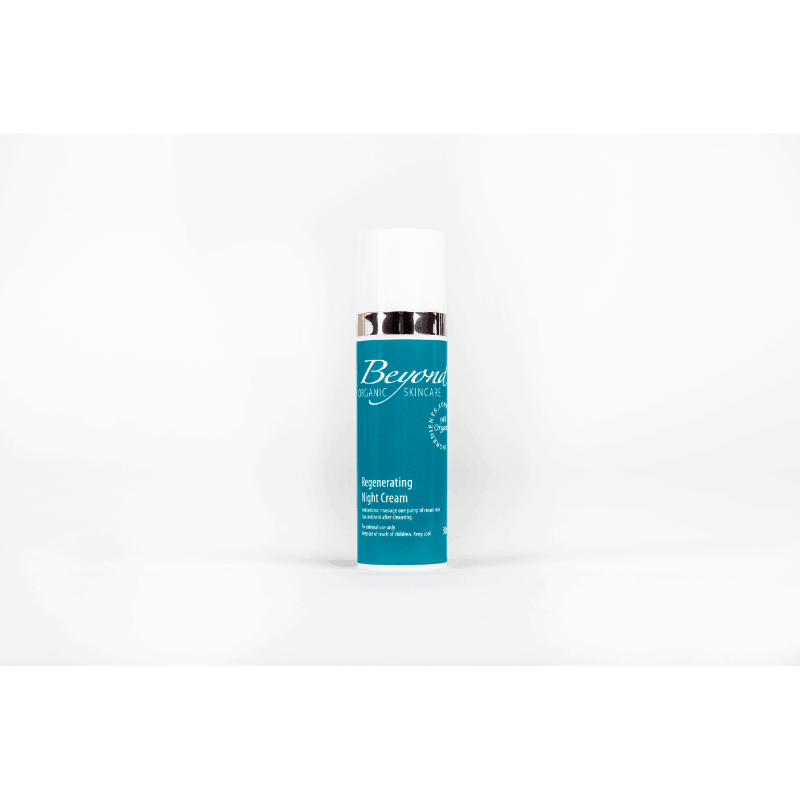 83% reported reduced pore size. Up to 79% decrease in total area of brown spots and pigment discolourations. For many years sea buckthorn has been known as a beauty berry that can keep you young from the inside out. Modern studies are furthering our knowledge of sea buckthorn and reinforcing the anti-ageing and beauty claims known to East Asians for centuries. Rosehip, a natural source of retinoic acid (retinol) which helps to prevent premature ageing, minimise wrinkles and reduce scar tissue. Unlike synthetic retinols, this should not irritate the skin. Luxurious Frankincense and Myrrh essential oils (not just for Christmas!) These are anti-inflammatory and bring relief to tired and stressed skin. Both dating back to ancient Egyptian times, these oils were used in face masks by Egyptian women, who knew a thing or two! These essential oils also make this cream smell beautiful, so you can indulge your senses as well as your skin. Yarrow, to improve the appearance of wrinkles and refine pores. Mallow, emollient, soothing and moisturising. Green Tea, a powerful anti-oxidant. Nettle, astringent and helpful for skin irritations. Anti-oxidants and vitamins to restore skin tissue, omega oils to help the skin retain its elasticity, palmitoleic acid (NOT from palm oil), which is found naturally in the skins sebum, but drops as we get older. This cream helps to replace it naturally.